We engage in supply and manufacture of RF Cable Assembly / RF Pigtails / Jumper Cable Assembly. Superior quality is the hallmark of our Cable Assembly & Pigtails and they are further tested for features like efficiency and hassle free working life. Along with in house quality testing unit, we contain an outdoor antenna test range also. 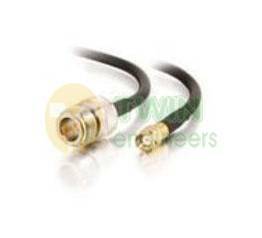 Our priority is to provide the top rf cable assembly products to our clientele. *Please click on below link to download Cable Assembly Selection Guide.